Extremadura in southwestern Spain, bordering with Portugal, may require a little more effort to get to (a 3-hour drive from the nearest international airport; Madrid), yet for foodies and wine lovers, it is more than worth it. Rich in agriculture, yielding an extensive range of vegetable crops such as tomatoes, peppers, green beans, cucumbers, rice, carrots, and asparagus. Extremadura also competes with Andalusia as a producer of olives. The region is home to outstanding meat and dairy products; the Iberian black pig providing Ibérico hams, cured pork loins, chorizos (pork sausage), morcilla (black sausage), salchichón. Whilst both goats and sheep provide the milk for cheeses such as Torta del Casar, Queso de La Serena, and Ibores. With such fantastic local produce, the cuisine is kept simple; dishes include “migas”, a rustic fry of breadcrumbs, garlic, bacon, chorizo and peppers, and lamb “caldereta”, a shepherd’s dish flavored with rich and smoky pimentón de La Vera – paprika, the star spice of this region. The wine region here is DO Ribera del Guadiana, which spans most of Extremadura was established fairly recently in 1999, although as with most of Spain, Extremadura wine history goes back to the Romans, or maybe even earlier. The first testimony of wine in Extremadura comes from a document which explains its uses in funerals around the 550 BC. A lot has been invested in the last 20 years to modernize and improve and today there are numerous vineyards producing top wines. You will have a private chauffeured Mercedes throughout the tour and so you can sit back, relax and enjoy. 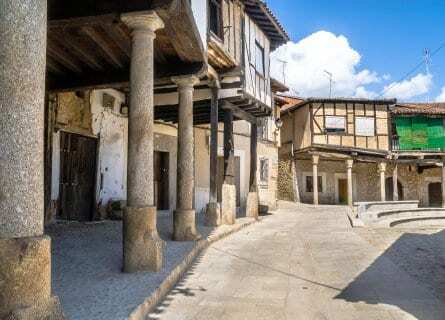 Your tour will begin in either Madrid or Toledo, from where you will be swept away through the beautiful “extremeño” countryside taking in the magical hamlet of Trujillo, UNESCO world heritage old town of Cáceres and Roman city, Mérida. You will receive VIP tours and tastings at a number of fantastic wine estates, namely Bodegas Habla, artisan cheese producers, and top “jamón” (Iberian ham) farms. Dining is always an important aspect of our wine tours and you will have a wide range of gastronomic experiences from Michelin starred dining to rustic and authentic tapas. Your carefully selected Boutique hotels are situated in stunning locations and provide comfort and luxury. Private guides will provide both information and entertain you. If you are looking for an upscale private tour of southwestern Spain and love food and wine, contact us for more information! Your private chauffeur will collect you in Madrid or Toledo, both good places to start this exciting food and wine tour of one of Spain’s most undiscovered jewels. You have a good 2-hour 20-minute drive ahead, so sit back and relax in your comfortable Mercedes. You will arrive in beautiful Trujillo in time for lunch, today it’s a relaxed affair at Corral del Rey. Here you will sample some of the best local produce prepared simply but to perfection. Most likely starting with a selection of local cured meats and cheeses, followed by exquisite sirloin hot off the grill or “Rabo de toro estofado con boletus” (bull tail stew with wild mushrooms). After your welcoming “extremeño” feast you will be able to stretch your legs and take in a digestive walk around this magical hamlet. 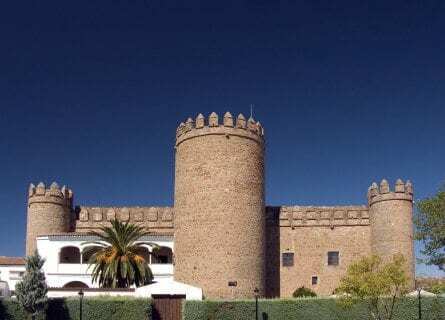 Your own private guide will show you the highlights of pretty Trujillo, home to one of Spain’s infamous conquistadores, Pizarro, filling you in on the history, with plenty of fun anecdotes. Then you can settle into your hotel, a restored Palace “Palacio de Santa Marta”, the perfect place to relax, and rest up from the journey. Your hotel is situated just off the main square “Plaza Mayor”, so you could even pop out for a light meal or some local tapas. The Plaza Mayor is beautiful at any time of day but looks exceptionally romantic lit-up at night. Welcome to Extremadura! At 10 a.m. your chauffeur will meet you and drive you a short 40-minute drive to nearby Montánchez. Here you will have time to stroll around the streets and browse the shops, where you will quickly discover that they are dominated by culinary delights with a wide variety of cured hams. However more famous than these is the ham of the same name “Montánchez”. This ham has had royal recognition right back to Emperor Charles V who insisted that a plate of Iberian ham be served at every meal he attended. The reason for such exquisite ham being produced in Montánchez is due to the climate and growing conditions for the acorns, the principal diet of the black Iberian pigs. You will visit Casa Baptista, a family run business since 1925. Here you will learn about the production and then enjoy a fabulous tasting of their cured meats and hams. The perfect aperitif, then lunch is next and will be at a charming tavern with Iberian cured ham as the signature ingredient. 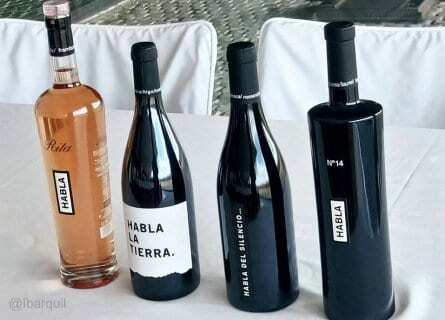 Then in the afternoon, heading back in the direction of Trujillo you will stop at the wonderful Bodegas Habla. Your welcoming hosts will take you through their viticultural process and then moving into the winery you will be able to taste their wines currently in the market as well as see their cute museum which holds all of the mythical Habla wines since the beginning. The setting is stunning and for equine lovers, you can admire their Spanish Pure breeds. A short 10 minute back to Trujillo, where you can enjoy a free evening with our recommendations if you wish to explore some more. Enjoy a leisurely start or maybe one last stroll around this special hamlet, as today you will move on to Cáceres. Your first stop will be at an artisan Torta de Casal cheese farm, such as “Queseria Dona Francisca”. 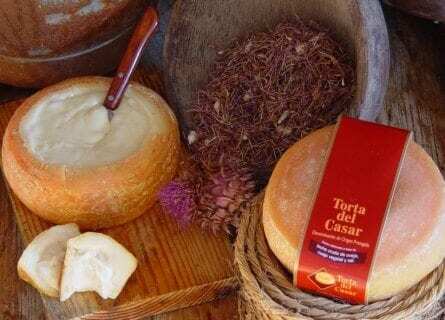 Torta del Casar- is a heavenly cheese made with organic sheep’s milk and is one of the most tantalizing gourmet goodies in the WORLD. The cheese is circular and the inside is soft, semi-liquid and has an almost melted texture. It is usually served with crackers or bread and can be topped with caramelized onions, chutney or relish or as a sauce on solomillo steak. Production of Torta del Casar in Extremadura is thankfully still on a small and artisan basis and the quality is ultra high. Enjoy this local delight accompanied by a glass or two of local red – heavenly! Moving on to Cáceres, where a guided walk around the town will undoubtedly be appreciated. The old town of Caceres, a UNESCO world heritage center oozes history and culture, but monuments aside Cáceres is a favorite place for birdwatchers due to its wealth of natural resources, which include the Monfragüe National Park and a nature reserve. Next, settle into your hotel for the following few nights; it’s a real treat the Gastronic Atrio Restaurant Hotel. Make the most of some free time in your hotel or explore Cáceres by night with our recommendations, of course. A slightly earlier start today, as you will be touring some of the region’s most beautiful and interesting locations. At 9:30 a.m. your driver will collect you for about a 2-hour drive to Jerez de Los Caballeros, a fascinating city where artistic and architectural heritage merge. Your driver will then transfer you to Zafra, a small market town full of charm and history. Here you will have a casual, yet creative lunch at “El Acebuche”. A stone’s throw from the beautiful Parador, you can enjoy local ingredients and traditional dishes prepared with a modern, creative touch. It would be a crime to be so close to the historic, very handsome Parador and not go in – why not enjoy a digestif there? Then you will move on to Merida to discover its Ancient Roman history. With so much heritage and history to absorb, you will have a friendly and well-informed private guide to lead the way. The list is endless, but some highlights include the Amphitheatre and the Roman theatre, where a summer festival of Classical theatre is presented, the Forum, including the Temple of Diana, and the Roman Provincial Forum, including the so-called Arch of Trajan or the remains of the Circus Maximus (1st century BC), one of the best preserved Roman circus buildings. Then back to Cáceres to spend another night at your wonderful gastronomic boutique hotel. At 10:30 a.m. your driver will collect you; today you are going to discover the star spice of Extremadura – Pimenton. You will taste some great specialties in the quaint town of Jarandilla de la Vera. Moving on you will enjoy a panoramic driving tour that will include Medieval Cuacos de Yuste and Plasencia. Cuacos de Yuste declared historic-artistic site in 1959. A must-see here is its 3 squares; the Plaza de Don Juan de Austria, shaped like an oval and lined with houses that have wooden balconies and porches; Plaza de España; and Plaza de Los Chorros, with a harmonious popular atmosphere. The parish church of Nuestra Señora de Asunción, from the 15th century, is also one of the most elaborate and interesting temples in the region. Heading another 40 minutes’ drive east, you will arrive at Plasencia, this medieval city on the banks of the River Jerte boasts two Cathedrals, the Old Cathedral Romanesque, whilst the New Cathedral has many Gothic and Renaissance elements. The Parador is the best place to enjoy more magnificent Extremaduran food, however, we recommend that you choose a lighter lunch today, as this evening you are in for a real gourmet treat. After a full day of touring, you will return to your hotel, where you’ll have time to freshen up and dress for the Michelin starred gourmet dinner that awaits you in your hotel’s restaurant, Atrio. But first, you will be taken on a VIP tour of the kitchen and cellar, before settling down to a sensational meal accompanied by exquisite wines of course. What a finale to your Gourmet Extremadura Food and Wine Tour! After a terrific breakfast, depart for Madrid or your next port of call. This concludes an extraordinary food and wine tour of Extremadura. We hope you have had an amazing time!